This exceptional mirrored dressing table is a fantastic addition to our ever expanding range of mirrored furniture. The Rimini mirrored furniture collection; inspired by Italian mirrored furniture, is a stunning new range which features strong curves on the front, providing elegance and style giving a truly exceptional look in your wonderful home. 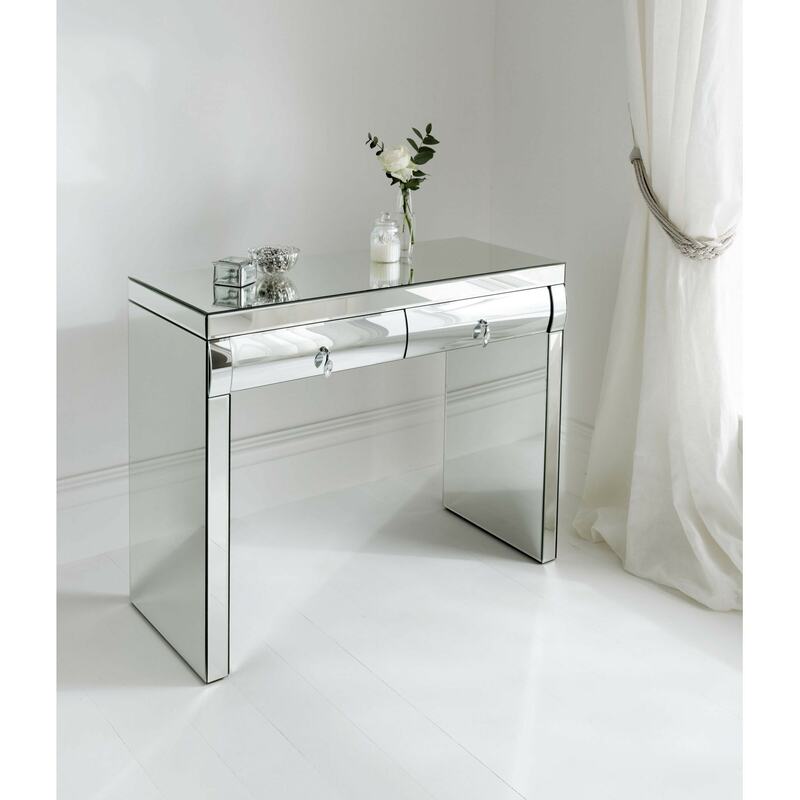 Brightening up your bedroom, this mirrored dressing table featuring 2 drawers is sure to impress.